Professional Locksmith Service is LockTech24/7. 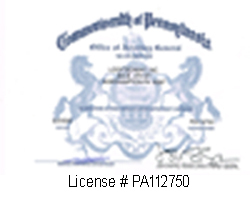 We’re serving Allentown, Bethlehem, and Easton PA. Perhaps you ask how can we serve Allentown, Bethlehem, and Easton? Well, we drive in a fully equipped working van as a one-stop local mobile locksmith shop. We provide a wide range of professional locksmith services such as; automotive, residential, commercial, and emergency locksmith services. When you need a professional locksmith solution, you definitely want to deal with the best because we are faster than any other locksmith. We absolutely understand how important your security is to you. One thing we can be sure, you definitely want to protect your property and your family. We care about high level of professionalism and confidentiality first and foremost to guarantee your satisfaction. As we speak about professionalism, we offer advance security solutions. With this intention, our skilled and experienced locksmiths are trained and ready to work with all type of locks and door mechanism issues. It doesn’t matter what security needs you may have, we have the solution for you. Regardless of the locksmith service, you may need, we can do it for you in a short time. Looking for a locksmith company can be time-consuming. Especially during an emergency situation, you better have a ready phone number of a trusted locksmith. Especially when you lock yourself out in the middle of the night, you want fast emergency locksmith service. Furthermore, you better get ready and know who you are dealing with. Probably, this is the way to go. But don’t forget, we can also replace locks, as well as re-keying, or repairing locks. Choosing a good locksmith company will not only get your locksmith job done within a quick time frame, but it will also save you money… not to mention frustration. You must realize how important it is to find a trustworthy locksmith company that specializes in many different security solutions, and especially relevant to you. In order to gain your trust, we’ve published our photo gallery page to show our work and wide range of locksmith services on site. We invite you also to go in our Blog Posts to read some interesting articles about the professional locksmith industry. What are your locksmith needs today? Whenever you need automotive, residential, or commercial locksmith services, we can help. Not just we provide emergency locksmith services, but our prices stay same, day or night. So, wherever you need 24 hour mobile locksmith service, we’re just one phone call away. Not only we offer top quality of locksmith service, but you also need to know that you are getting the best customer service from beginning to end. And this includes you a 100% satisfaction guarantee. We are mobile locksmith services in Easton, Bethlehem, and Allentown Pennsylvania, and the surrounding areas. It must be pointed out that we happy to drive the extra mile for you, so please don’t hesitate to call us, as soon as possible. Our locksmiths drive fully equipped working vans, in order to save your time and money, by doing the job on site, and on the first time. So even if you need a car key replacement on site, we can help. As we do not have a dispatch or a call center, our qualified locksmiths answer all your questions, directly, and regarding your locksmith requirements. Highlighting these points proves not only that we’re professionals, but we also care of your satisfaction. In like manner, please contact us now for a free estimate. LockTech24/7 is a local locksmith company. Our local locksmiths knows the Lehigh and Northampton Counties Pennsylvania very well to provide fast and efficient locksmith service. We are serving the area from Bangor to Kutztown, and from Lehighton to Quakertown. Each call arrives at our local cellphone number, which we can answer day and night. We also answer your call when we’re busy serving another customer. Every customer is answered by the technician himself, and treated individually, with care to his needs, and with courtesy. We guarantee fast and prompt response. Our locksmith technician be there for you within 20 minutes of your first call. We would not leave you until the job is done right, and on spot. You can count on us to be there for you fast. We are whenever you need us – wherever you need us. We offer wide range of automotive, commercial, and residential locksmith services, as well as high quality security hardware. Whether you need a quick lock out assistance, or to upgrade the security of your home or your business, our locksmiths here are ready for your call. We have technicians that are experts in the locksmith industry. To be a good locksmith, one need to be highly trained to deal with any issue concerning your security. Our locksmiths are driving fully equipped vans with large inventories, advanced tools, and the latest technology. 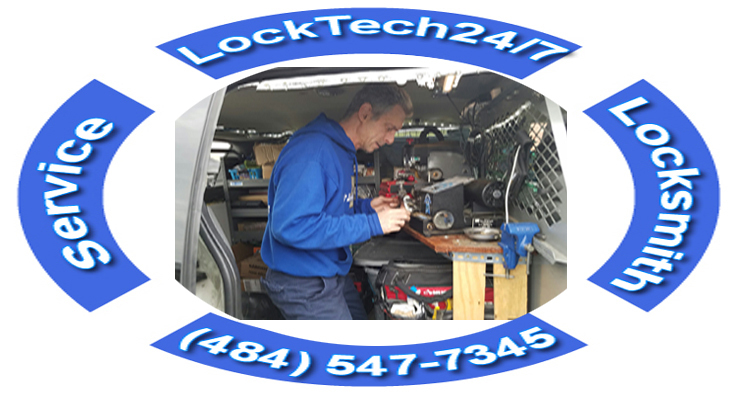 LockTech24/7 technician will answer the phone, appraise the job, and provide quality locksmith service from the beginning to end. All work done by our locksmith technicians. We do not use a dispatch or a call center. You don’t get a starting price that go high, but we quote affordable price. We promise to do our best to keep our prices as low as we can while providing a high quality of security hardware and locksmith services. If you got written an estimate, please show it to us, and we will beat that estimate. You can also enter our discount page to print your coupon, and enjoy your discount. LockTech24/7 locksmiths has years of proven experience providing professional locksmith services, We have left hundred of satisfied customers who are repeating calling us every time they need our services. Your satisfaction is our first priority, and our excellent reputation is based on that.